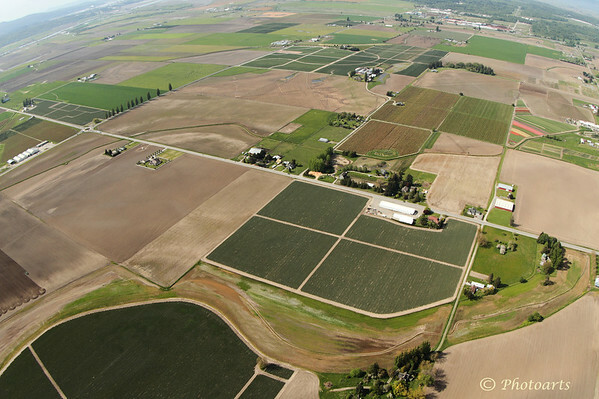 The fertile fields of Skagit Valley, Washington state, form unique shapes as viewed from the air. The colorful field to the top right of the image is the infamous tulip fields in the area. What are you flying.....you can see the tulip field too!